It is a known fact that Thugs of Hindostan has remained to be one of the most ambitious films of Yash Raj Films in recent times and hence, the production house isn’t afraid to push the envelope in terms creativity. It seems that the film is aiming at achieving excellence in visual spectacle with this Amitabh Bachchan and Aamir Khan starrer and is working towards the same. And the first step in that direction is launching its own VFX company. “Thugs Of Hindostan is not just the biggest film for YRF, it is the biggest film of Bollywood. No one knows this but Aditya Chopra started working on the visual effects of Thugs with his director Viktor Acharya, two years back! Since the day Adi, Viktor and superstar Aamir Khan decided that they would collaborate on Thugs of Hindostan, they decided that they would make Thugs the biggest visual extravaganza of all time. Adi launched YRF’s VFX company called YFX in 2016 to start working on Thugs!” says a production source. “Thugs is the biggest festive release of all time. 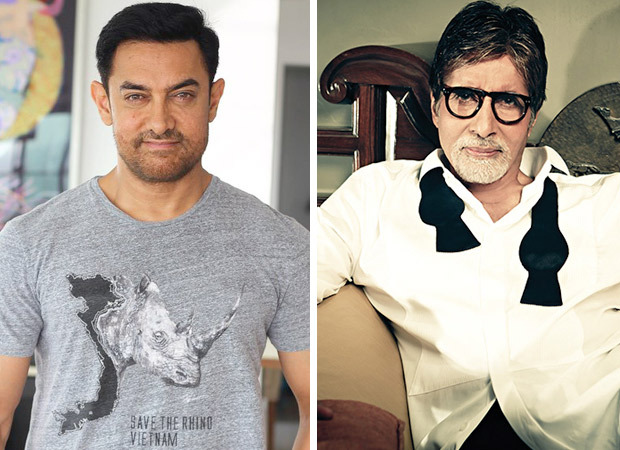 It sees two of the biggest icons of Hindi cinema Amitabh Bachchan and Aamir Khan come together for the first time ever. It has superstar Katrina Kaif and has Fatima Sana Shaikh (of Dangal fame). Viktor’s last film Dhoom 3 broke box office records worldwide. The anticipation is huge from Thugs Of Hindostan and the team wants the film to be an immersive visual experience, a total paisa vasool larger-than-life cinema! The scale that they are chasing to have could have only been possible if they started work two years before the release. Given the massive visual scale of Thugs, the team could only have managed to catch the deadline of asset releases if they planned way in advance. The team started editing the footage from the day the shoot started. It will be a massive cinema experience for audiences across the globe,” the informer adds. Not many know, the first movie for which YFX did visual effects for was the Salman Khan starrer Sultan. “YFX was formed to do the pre-visualization work for Thugs but in the interim, the company worked on Sultan and Tiger Zinda Hai. Both boasted of high-value visual effects and YFX achieved global standards. The success of Sultan and Tiger Zinda Hai gave confidence to Adi that YFX could take on the mammoth task they had at hand with Thugs. It will be a visual event like never before in Indian cinema,” the source says. Yash Raj Films’ mega action adventure Thugs of Hindostan is set to release worldwide this Diwali. Given the visual magnitude, the film will release in IMAX across the globe.